• This week finishes the "I am His Little Lamb" Book. 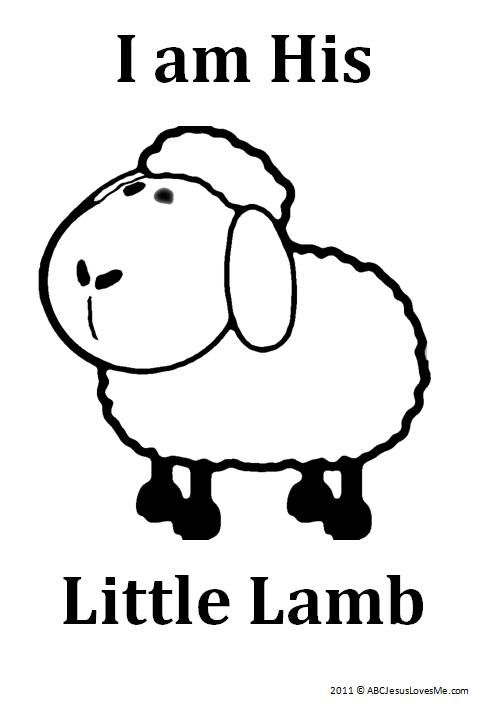 Color the Little Lamb worksheet and staple or bind all of the pages together to form a book. Review the Bible stories as you look through the finished book. 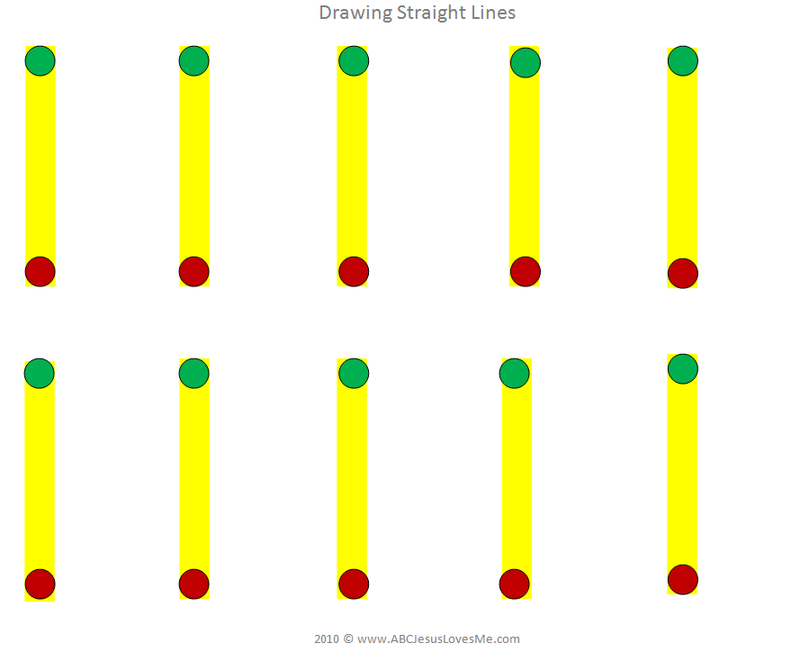 While holding a pencil correctly, trace vertical lines on Drawing Straight Lines. If the child does not hold a pencil correctly read some tips. Help the child place the pencil on the green dot, draw along the yellow, and stop at the red dot. Say "go" and "stop" when on the corresponding colors. For repeat practice, place the worksheet in a dry erase pocket and use dry erase markers. Some children will not be ready for this activity and that is okay. Continue to work on fine motor activities to increase the child's fine motor control. March around the room as you sing your favorite song or nursery rhyme. Add percussion instruments: drums, sticks, maracas, etc. while marching.